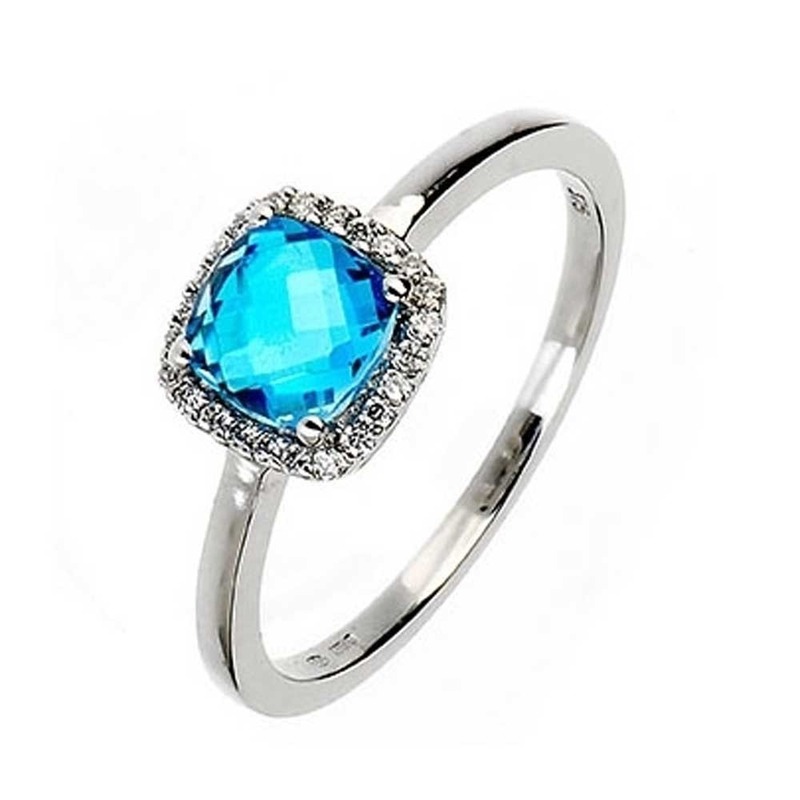 We love the cerulean tone the beautiful facet cut topaz stone produces in this ring. 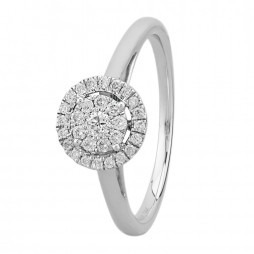 Set in a bright 9 carat white gold with a gleaming halo setting this ring will add a vibrant touch to any attire. Whether they be pave, halo or flower shaped, gemstone and diamond cluster rings always add colour, sparkle and shimmer to any occasion. 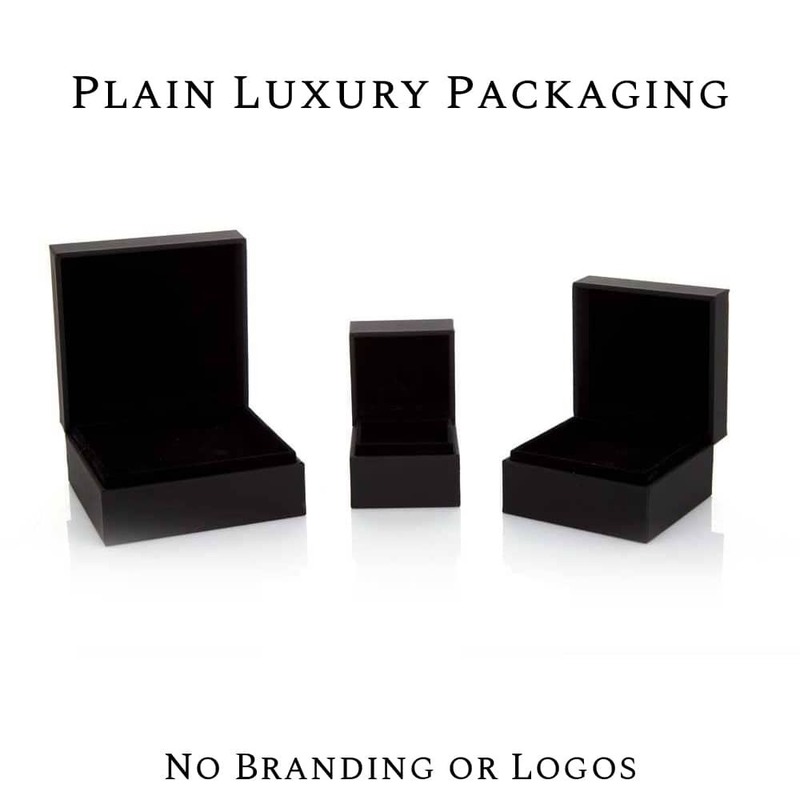 Order yours today from Discount Diamond Store to receive free next day delivery in premium unbranded packaging.